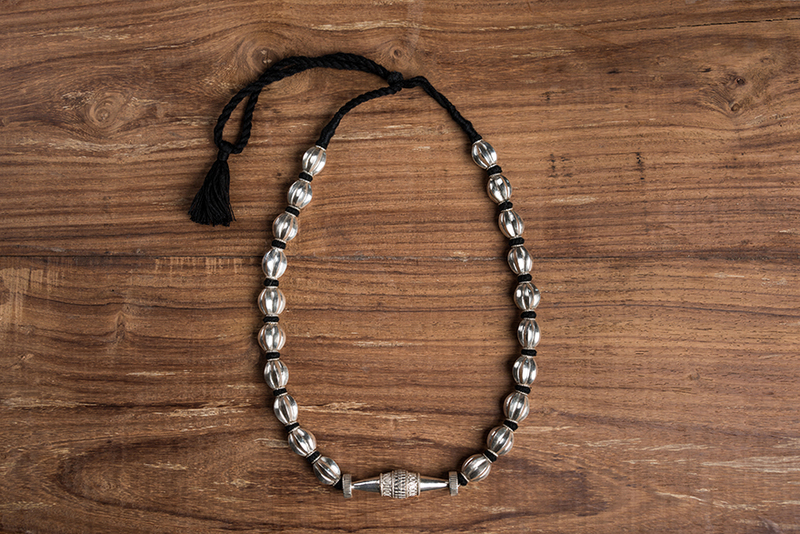 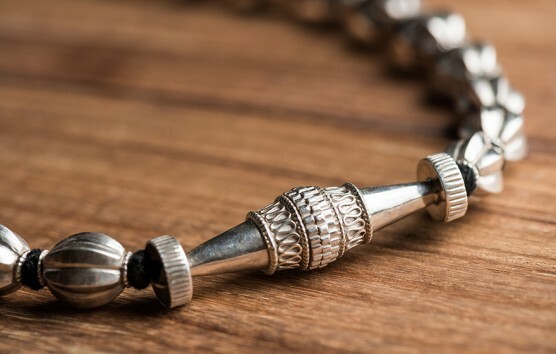 This necklace is worn by women from the Tharu community, who live in southern Nepal and neighbouring parts of northern India. 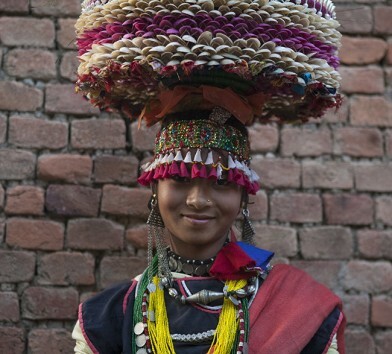 This particular design is associated with the Tharus of Dang district and nearby areas. 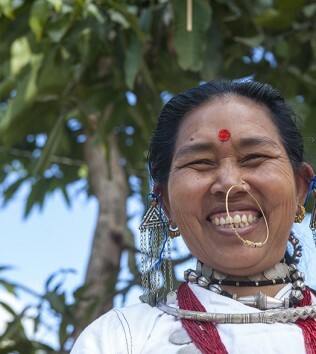 Tharu women are known for their beautiful, colourful clothes and elaborate jewellery, usually worn as a complete set. 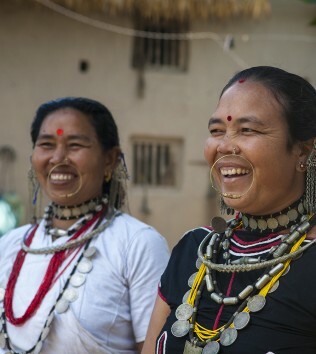 Over the past few decades, however, most women in this region have been compelled to sell their jewellery in order to raise funds to run their households. 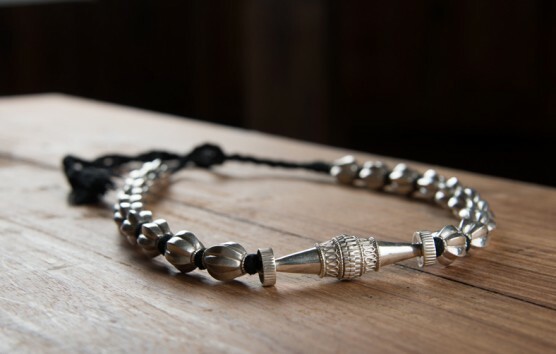 It is therefore rare to see this special piece worn today.